Short-sale sellers must be ready to lower the price if the appraisal comes in low. 2. How Often Do Short-Sale Buyers Walk? Short-sale deals have several hoops a buyer and seller must jump through to make the deal happen. The usually drawn-out process involves two important appraisals: one for the lender of the existing loan and another for the buyer's lender. A low appraisal in both of these instances can have very different effects on the transaction. A low short-sale lender's appraisal generally doesn't affect the transaction unless the buyer's lender also receives a low appraisal. In a short sale transaction, the net proceeds to the seller fall short of paying off the existing mortgage debt. As such, a financially distressed homeowner who can't make up the shortfall asks the lender to settle for less. Before the lender can agree to write off the deficiency, it gets an appraisal, or broker price opinion, to determine the home's value. When the home is worth less than the balance owed and the lender can recoup more money through a short sale than through foreclosure, it may approve the sale. 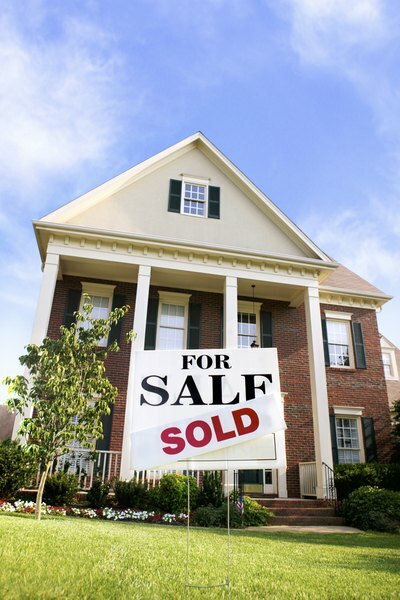 A buyer's lender requires an appraisal of a short-sale home. A low appraisal indicates the buyer, and in turn the lender, may be paying too much for the property. As such, the lender requires the buyer to pay for the shortfall between appraised value and the maximum loan amount by increasing the down payment requirement. A buyer unwilling to contribute more to the short sale deal can request that the seller and his lender reduce the sale price accordingly. An appraiser compares the short-sale property to surrounding sales, usually closed within the previous three months, of similar size and features. In the absence of recent comparable sales, the appraiser may expand his search by finding sales located farther than one mile away or older than three months. Significant defects, such as a cracked foundation, structural issues or other health and safety hazards, may also cause the appraisal to come in low. Often, short-sale homeowners don't have the money to make needed repairs, a burden the buyer must bear if he wants to finance the home, despite a low appraisal. A buyer can negotiate a price reduction citing the low appraisal. In a short sale, the homeowner's lender is ultimately the decision-maker and it may accept or reject the request for a reduced sale price. If denied, the lender may proceed to foreclose, a process that would automatically cancel the short-sale deal. Renegotiating the sale price on a short sale can be a hassle, as the lender may restart the short-sale approval process, require updated paperwork and another waiting period for processing and response. In the event that the lender forecloses or rejects the price reduction, the buyer usually has no recourse against the lender or seller, since short sales are subject to lender approval. American Enterprise Institute: Realty, Unreality: Are Low Appraisal Values A Problem in Housing?